While there has never really been a period of human history that could be considered stagnant when it comes to innovation (one could argue that things were a bit slow during the Middle Ages, but even that period brought us mechanical clocks, windmills, and gun powder), there have been some exceptional periods, such as the Industrial Revolution, when things really kicked into high gear. It could be said we’re in such a period now. Innovation is moving more rapidly than ever before. It’s incredible and inspiring to witness new technologies being developed and then seeing even newer technologies built upon those. Sometimes it’s startups that are developing these new technologies, and sometimes it’s startups who are the early-adopters and using these technologies to fix major problems. Just a decade ago, we talked about self-driving cars, 3D printers, and virtual reality as things that might be possible in the future, and now, not only do they exist, they are becoming more complex and are rapidly becoming a part of our everyday life. They are being used to solve problems in healthcare, transportation, and energy. Chat Bots – Chat Bots are becoming more accepted as a useful tool for communication in many industries and among different types of users. Augmented Reality – Augmented Reality is becoming especially popular in healthcare to help improve treatment and cut down on costs, and in retail as a way to improve customer experience. Virtual Reality – VR technology is becoming more advanced and interactive. This has benefits for fields such as real estate, architecture, social networks, and entertainment, among others. Electric Vehicles – We are already starting to see the positive impact of electric vehicles, and now more and more companies are going beyond 4-wheeled vehicles and developing electric 2-wheeled vehicles as well. 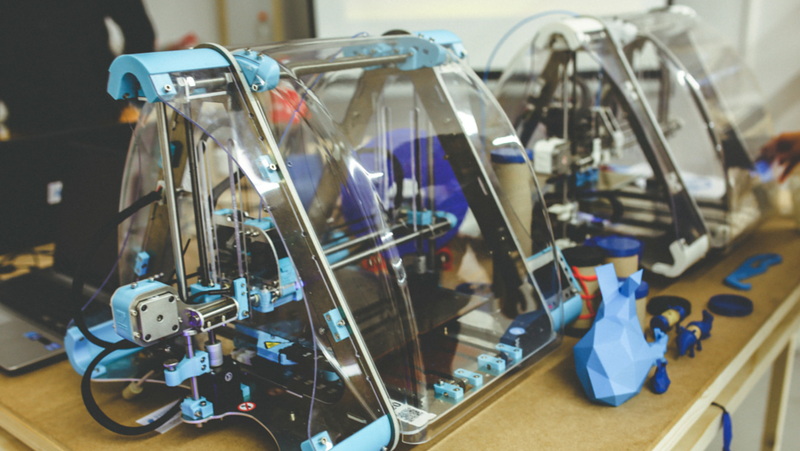 3D Printing – Speed of Printing – 3D printing will soon know no bounds. We can now print medical devices, clothing, and even food. AR/VR in Healthcare – AR and VR are being used in healthcare in big ways. AR is able to replicate medical environments as well as offer real-time interactive exposure for patients and healthcare professionals. VR is being used for training, patient education and rehabilitation. Wireless Charging for Mobile Devices – The value of wireless charging has been a little underrated, but the possibilities include long range charging and wireless public charging similar to public WiFi. Home Battery Systems – These are changing the way homeowners (and others) consume power. It’s becoming more and more possible to power your home completely off the grid.